(TibetanReview.net, Jul07, 2017) – In yet another instance of an all too frequently recurring incident, a Tibetan Buddhist monk who disappeared into Chinese police custody in Ngaba (Chinese: Aba) Prefecture of Sichuan Province in May last year has just been suddenly given a brief semblance of a trial and jailed for three years, reported the Tibetan Service of Radio Free Asia (Washington) Jul 5. The monk, Jamyang Lodroe, 36, was tried and sentenced on Jul 4 by a court in Ngaba’s Trochu (Heishui) County, the report cited a relative of the monk named Choephel, now living in Paris, as saying. The monk was reported to have been allowed an hour-long meeting by his family, with no information on where he will serve his sentence. 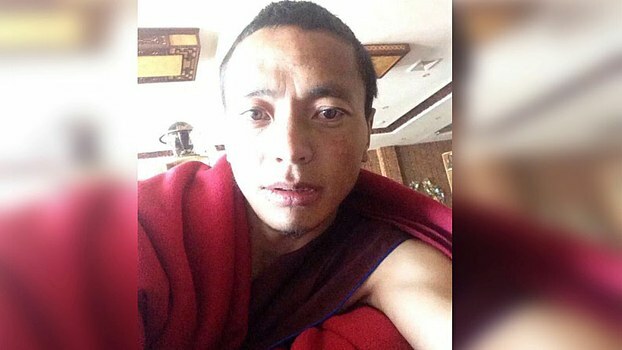 The monk, who belongs to the local Tsinang Monastery, was taken away without any explanation in the evening of May 15 last year from in front of the Barkham (Ma’erkang) City People’s Hospital. Despite repeated entreaties, the Chinese police had refused to provide to his family any information about him and his whereabouts ever since. Choephel speculates that the monk was taken away and has now been jailed probably because he had written articles on sensitive political subjects and was also accused of sending news about protests to contacts outside his area.